Sequim area hospitals are located throughout the county and adjacent counties. Port Angeles is 15 miles from Sequim, and Port Angeles has a large hospital, plus many outpatient facilities. Sequim has many outpatient facilities and emergency medical facilities, too. 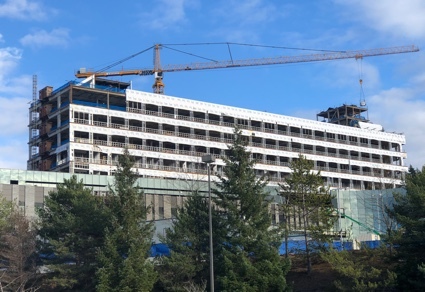 Port Townsend has a hospital, and you can see a large expansion in this image below for the Silverdale hospital, the Harrison Medical Center. Silverdale is only one hour from Sequim. I’ve been impressed with the Sequim facilities. I would imagine that 99% of everything you and I will ever need is in Sequim now, and unless you have major surgery or an overnight hospital stay, you probably won’t be a resident of the Port Angeles hospital, or any of these area hospitals. It’s just nice to know we have plenty of medical facilities in the area. For military veterans, there is a VA hospital near Tacoma.